Greetings everyone! It's seems like no one has posted this news so I'll get straight to the point, Virgin Atlantic has finally revealed the first look at the Ex. Air Berlin A330-200s refreshed cabin, and I have to say that they have really outdone themselves! I love the vibrant colors presented in the cabin! What are your thoughts? Seems like the perfect fit for an interim solution. The routes they fly them on aren't hyper-competitive either. Looks good. Question: AB had the same business class seats in there beforehand. It looks like VS replaced them with almost exactly the same thing, but slightly modified. Or did they just replace some components of the seat? I can't imagine them going through the cost of replacing the entire product with essentially the same product but slightly updated. Did they just change the upper portion where the screens are? Still, this arguably makes the A330s the preferred plane to fly on in J. I know many, including myself, are not a fan of the herringbones. Good to see PY back in, as I'm sure they didn't like downgrading PY pax and/or not being able to charge PY fares. I think they just re-upholstered the seat material from clothes to leather. Other parts remains the same. As for PY, they took out few rows of Y and installed theirs. Agree with you on the cabin, some of AB A332 with MH are preferred by MH guests over their own A333 J and Y cabin. IFE is much responsive too. I thought the same as you, but it actually appears to not be just a re-upholstery job. 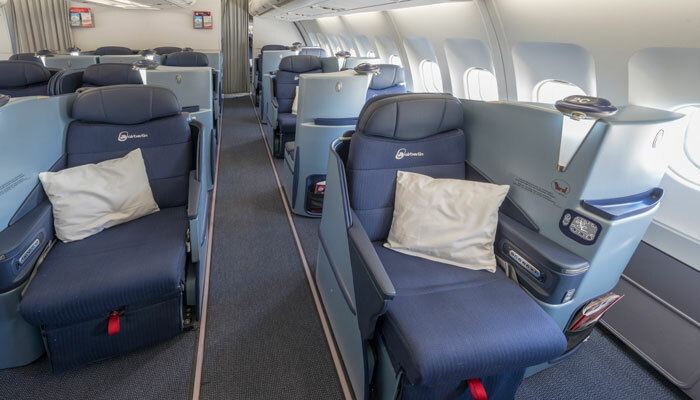 The business class seats in question are Air Berlin’s Solstys seat from Stelia Aerospace, a popular model flying with several other airlines around the world. 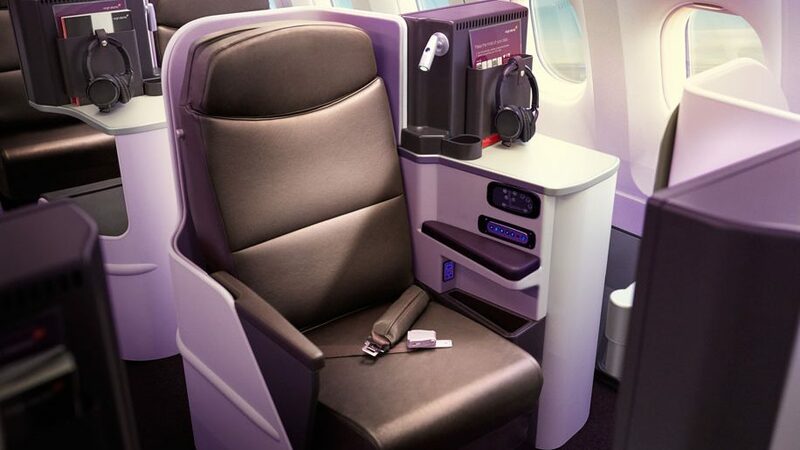 However, while Virgin Atlantic has opted to retain this model for its operations, it is not retaining those specific seats. The A330-200 project is not a mere matter of refurbishing seats in the airline’s trim and finish: the airline has ordered new, mildly customized versions from Stelia, with modifications including additional table and stowage space. So, it's a whole new darn seat. How intriguing! Maybe they kept the seat mechanism, and refurbished the frame of the seat, out shroud and trim? What’s the most expensive part of a seat? How long do they plan to keep the A332? Given how much these updates must cost, I assume it will be quite a while. Any specific reason why they wouldn't just re-upholster the AirBerlin J seat..? It okay, looks like EY old business class. I wish they added a J class like UA Polaris. They had to keep the same seat type as they would have had to re-certify the aircraft if they had changed the design. It was faster to keep the same seat type and customise it to be a Virgin seat. The four Airbus A330-200s with Virgin Atlantic are on four year leases. Apparently the refurbishment cost £10 million (so €11,225,000 or US$12,767,000). The AirBerlin J seats looked dated, so this version of the seat is more modern and in keeping with the Virgin brand. If you're going to be flying it around for four years, you want to do it right as a lot of passengers pay a lot of money to fly Virgin Upper Class. The herringbone has had its day, this is a much nicer product. That makes sense, especially if these aircraft will be around for at least 4 years. Like you say, passengers pay A LOT of money to fly J (and PE as well) so there should be a certain level of product consistency. In that sense, it is an honourable thing that VS is doing. Interesting that the new W seats have leg rests rather than footrests. The J cabin looks a lot smarter than before! That depends on the lease rates. A small subfleet of 332s wouldn't be any carrier's first choice for new aircraft on 4,000-mile ops. It's a bit of a shame they didnt opt for little privacy shield for aisle seats in J. Wouldn't like the feeling of being peeped on when I'm in bed mode. Can't really complain about it since it's already 100 times better than BA's current Business Class. No? While it's the "fancier version" of first generation of 1-2-1 staggered layout. This is the bare minimum Airlines need to become considerable for premium traveller anyway. Except this actually looks like it has some padding, unlike on EYs 77Ws where you are basically sat on the mechanism. I'm very surprised they put new J seats in of the same type. Surely as another poster suggested this is just the exterior of the seat and shell, preserving the inner workings? As mentioned above, if they had changed the seat type they would have had to re-certify the aircraft. This way they could keep the certification and upgrade the interior to current standards. The article I quoted above confirmed that these are actually brand new seats, but just exact replacements. It's sort of rare that we see that in this industry. These seats are still old, but still much better than their coffin looking seats.